Astronomers across North America have been preparing for the long awaited total solar eclipse and the time has come. On August 21 the 115 kilometre wide path approaches the main land in Oregon. Over time, it will move eastward until it heads out the Atlantic Ocean off the South Carolina coast. In all, the path cuts through fourteen states with millions of people seeing the Sun fully covered for a maximum of two minutes and forty seconds. This allows the unique opportunity to glimpse the red prominences along the rim of the Sun as well as the illusive corona without protective filters. 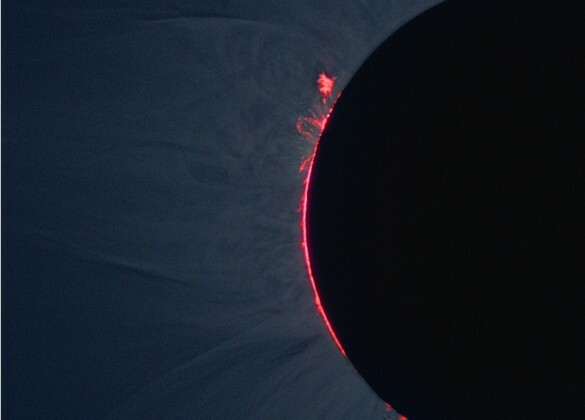 The corona is the outer part of the Sun's atmosphere and only visible during totality. Temperatures exceed one million degrees in this layer but the solar surface is a cooler 5,600 degrees. For the tens of millions of people living north and south of the line, they will witness a partial phase including Canada. The big winner will be Victoria, BC where the eclipse begins at 9:08 a.m. PDT with 91% coverage at its greatest point. On the other side of the country St. John's, NL begins at 3:29 p.m. NDT with only 32% coverage. Precautions must be taken anytime you stare at the Sun. Never take chances with your eyes. There are various filters on the market to enjoy this wonderful event in safety. The RASC and other sites sell eclipse veiwers or eclipse glasses which are popular at public gatherings. You can also purchase Baader sheet film at various telescope locations. 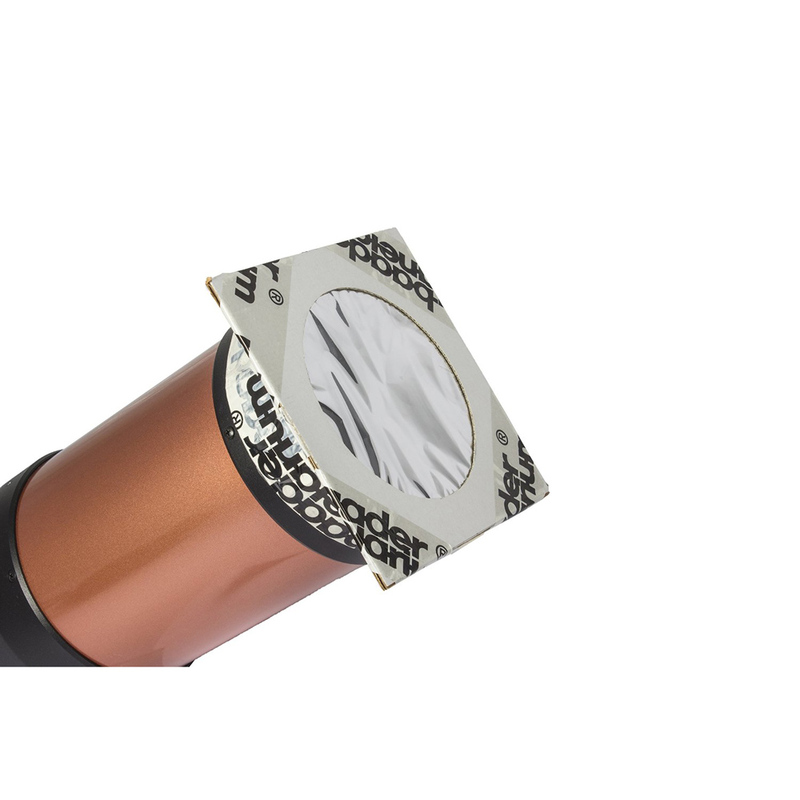 These are ideal to place in front of telescopes, binoculars and camera lenses. Never try to make and use homemade alternatives as eye damage can occur. Even pointing an unfiltered DSLR or point and shoot cameras can damage the sensitive chip inside. You can also damage your smart phone camera it pointed directly at the Sun. A great project with the family is to construct a pin hole camera. With the image of the eclipse projected on the back of the shoe box, this illuminates the dangers of looking directly at the Sun. 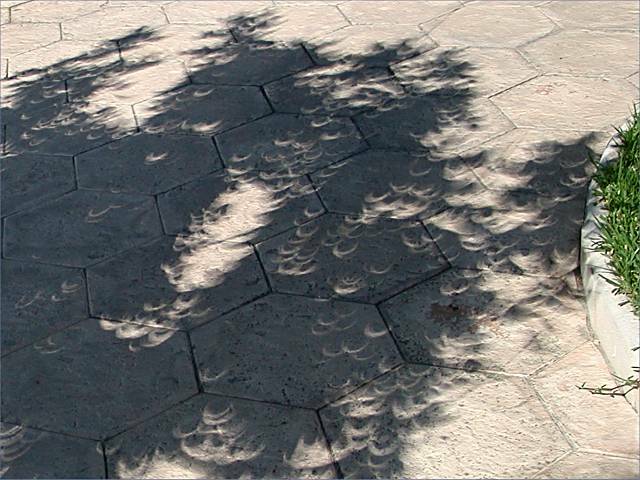 Trees can also make great pin hole cameras with hundreds of projections being cast on the ground. Interlocking fingers also works and practically anything with tiny holes. Welder glass can also be used. Be sure to only purchase #14 grade glass used for arc welding. Various RASC Centres will be hosting eclipse viewing parties open to the public. Check online for your closest centre or astronomy club. There should be a few good sites streaming live on the internet. 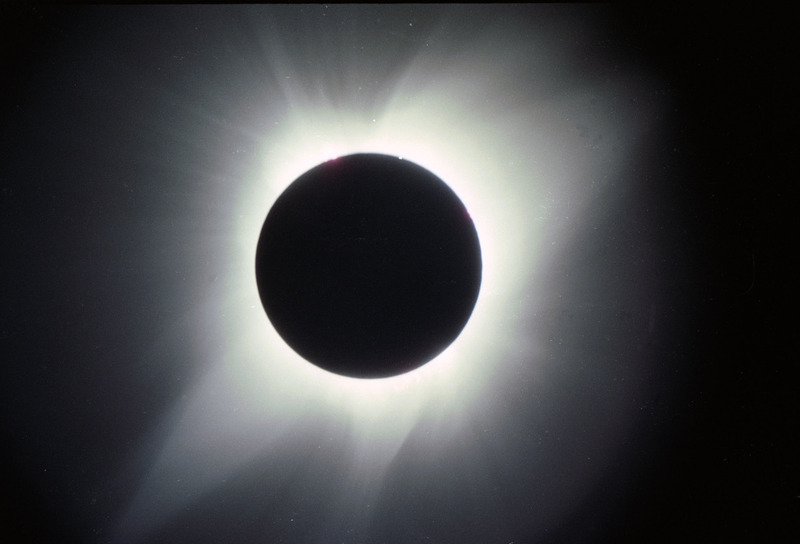 The next total solar eclipse will take place on April 8, 2024 when it crosses Mexico, the USA and Canada. Since its creation some 4.5 billion years ago, the Moon is slowly spiralling away from Earth at a rate of four centimetres or the width of a golf ball per year. The last total solar eclipse will occur some 600 million years from now. A mere nine nights before the eclipse, the Perseid meteor shower will grace out skies. The Perseids are produce from the dusty debris from Comet Swift-Tuttle that last rounded the Sun in 1992 in its 133 year orbit. As Earth orbits the Sun, we encounter this clouds of particles the same time each year. Considered as the best meteor shower of the year, the Perseids can produce about 100 meteors per hour with a few brilliant fireballs. The 2016 shower had an outburst of 160 per hour. Unfortunately the 71% illuminated waning gibbous moon will rise around 11 p.m. local time will cast a glow in the sky and reduce the hourly rate. The good news is this is a weekend event. The planet Jupiter is sinking lower in the west as the weeks march on. Venus still lights up the morning sky and is located just above Orion's club. This also means the Pleiades are up by 1 a.m. local time. Saturn is visible most of the night by is below the horizon before 2 a.m. local time on August 1. The full Sturgeon Moon will be on August 7.